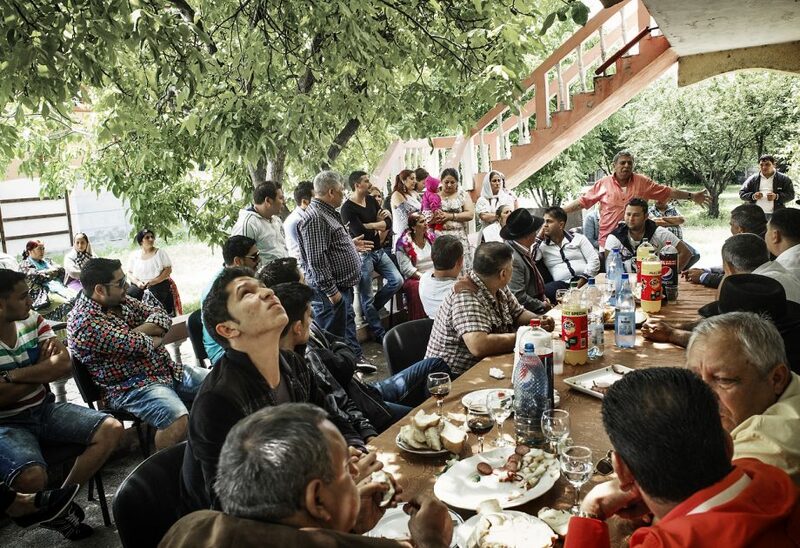 Images taken during a divorce case handled by Stabor, the informal Roma justice court. During the traditional Roma trial also known as Stabor, both litigating parties plead in front of one or more judges and the part found guilty has to financially compensate the other part. Bratara, a Romanian witch of Roma origins listens to what her husband Mocrate has to say to the judges during the initial reconciliation phase of a divorce trial procedures handled by a traditional Roma judging court (Stabor), seeking justice in a divorce case between one of her her cheating nephews and his wife, as seen on June 2, 2013. 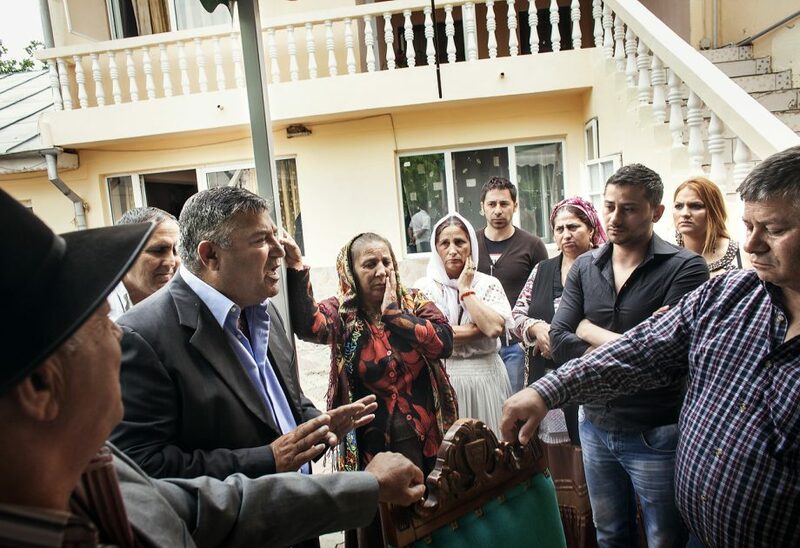 During the traditional Roma trial also known as Stabor, both litigating parties plead in front of one or more judges and the part found guilty is usually subject to a monetary compensation towards the other part. Bratara, a Romanian witch of Roma origins listens to what the judges have to say in the initial reconciliation phase of a divorce trial procedures handled by a traditional Roma judging court (Stabor), seeking justice in a divorce case between one of her her cheating nephews (second from the right) and his wife (not seen), as seen on June 2, 2013. During the traditional Roma trial also known as Stabor, both litigating parties plead in front of one or more judges and the part found guilty is usually subject to a monetary compensation towards the other part. Bratara, a Romanian witch of Roma origins, talks Cristofor, one of the appointed judges during the initial reconciliation phase of a divorce trial procedures handled by a traditional Roma judging court (Stabor), seeking justice in a divorce case between one of her her cheating nephews and his wife, as seen on June 2, 2013. 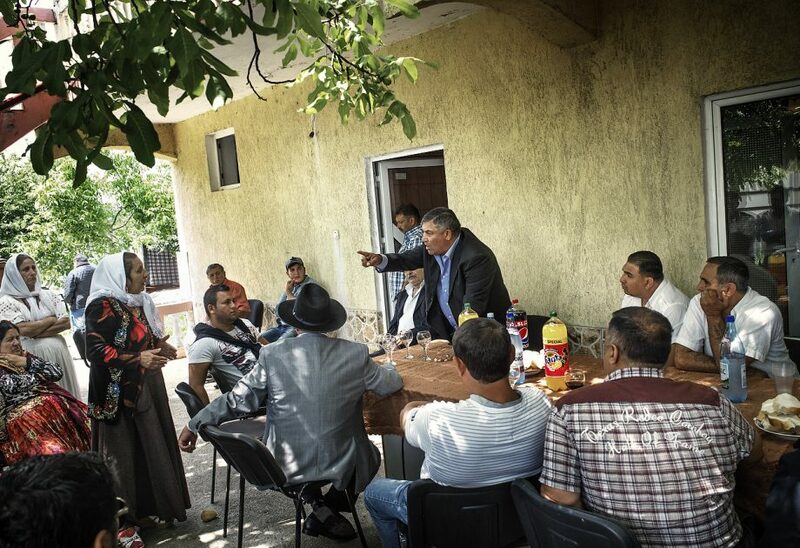 During the traditional Roma trial also known as Stabor, both litigating parties plead in front of one or more judges and the part found guilty is usually subject to a monetary compensation towards the other part.